Hippo Hollow is situated on an expansive estate of lush gardens bounded on one side by the Sabie River. The estate offers laid-back, comfortable, family-friendly accommodation just outside Hazyview. Hippo Hollow offers a selection of semi self-catering accommodation. 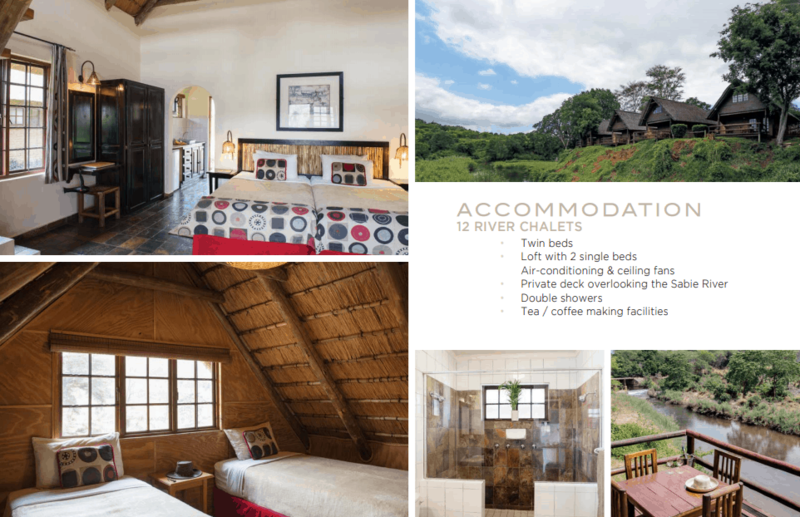 Guests can choose from our thatched River Chalets, Garden Chalets and our more traditional Courtyard Rooms. All of the rooms and chalets have en-suite bathrooms, air-conditioning, tea/coffee facilities and are furnished with touches of local wood and traditional elements. 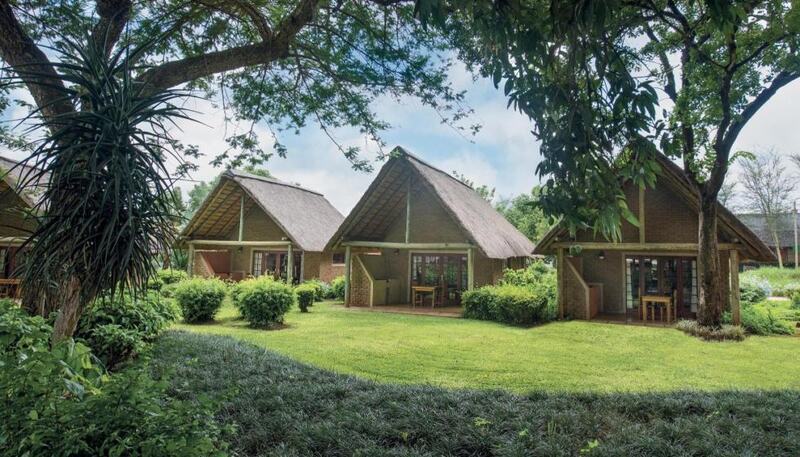 The air-conditioned thatched chalets all overlook the Sabie River and are ideal for small families. Each has a loft room with two single beds, and a private deck with river views offering the perfect setting for you to relax and rejuvenate. These rooms are semi self-catering as they have a fridge and a gas braai, but no moicrowave or stove top. If you are looking to escape the fast pace of city life and slow down without the interruption of TV, telephones or Wi-Fi, the River Chalets are ideal for you. The 6 Deluxe River Chalets can accommodate 2 adults and 2 children. 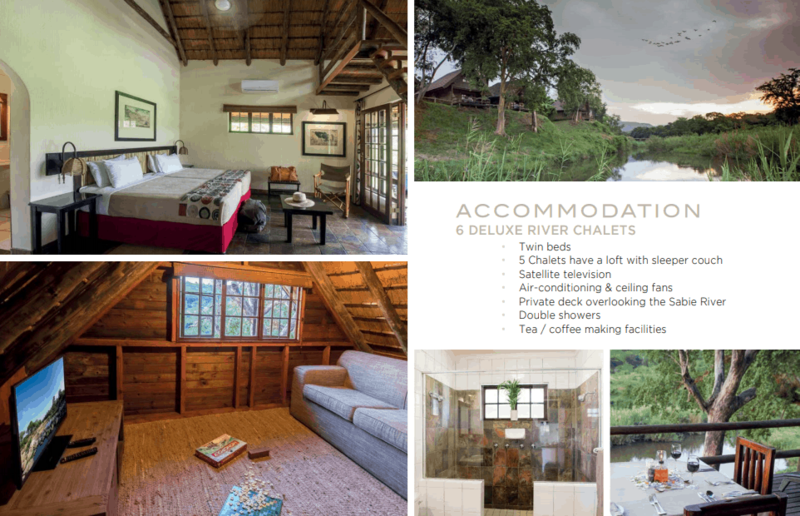 The Chalets have a loft with a sleeper couch and satellite television as well as a private deck overlooking the Sabie River. All the Chalets have double showers, modern amenities, ceiling fans, and tea & coffee facilities. The 19 Garden Chalets sleep two and are ideal for couples or business travellers wanting a little extra space. 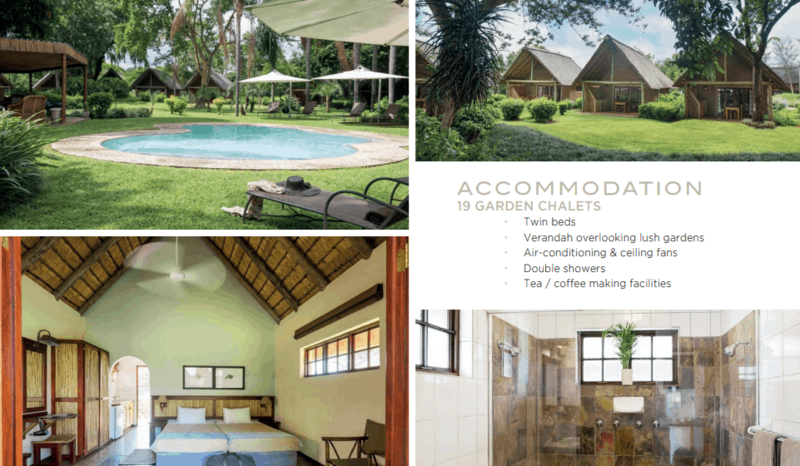 The Chalets are air-conditioned and have ceiling fans, double showers, satellite television, tea & coffee facilities, as well as verandahs overlooking the sprawling gardens or pools. When it comes to accommodation in Mpumalanga Hazyview, there are few spots as peaceful as this. However, it’s good to know these chalets are not self-catering. 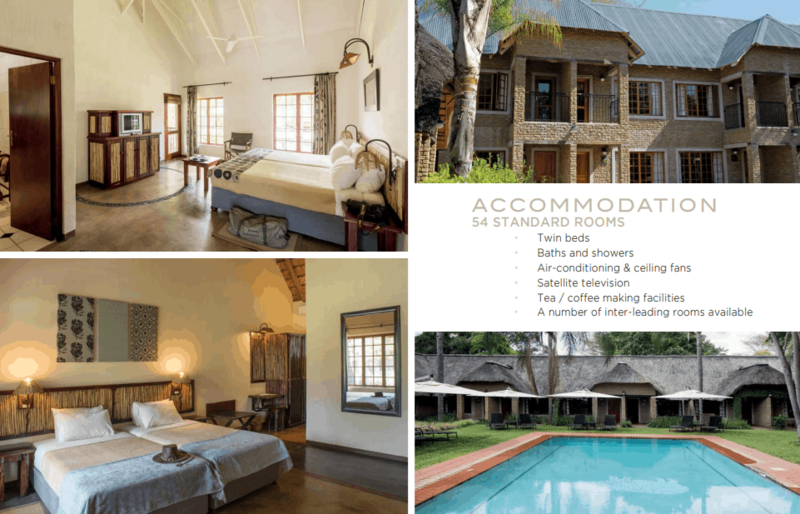 Hippo Hollow Country Estate boasts 54 Courtyard Rooms. These are the rooms closest to the restaurant and bar in the hotel and most similar to a traditional hotel room. They are ideal for guests who want to enjoy the bush and keep the 21st Century comforts of television, WiFi, air-conditioning and guest amenities. The Courtyard Rooms have balconies overlooking the estate gardens and are especially popular with business travellers, couples or families with older children ( thanks to interleading rooms). For younger children, cots are available on request. The rooms at Hippo Hollow are surrounded by beautifully maintained gardens and the winding Sabie River which is home to a wonderful variety of bird species, hippo, crocodiles, monkeys and even elephants from Elephant Whispers.